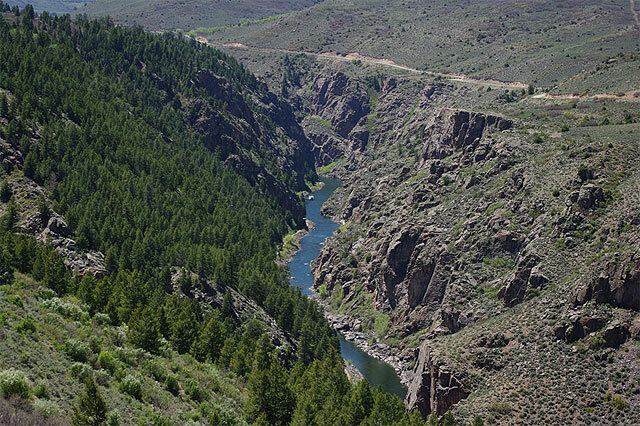 At 2,400 feet deep, the Black Canyon of the Gunnison is not the deepest in North America. That record goes to Hell’s Canyon on the border of Oregon and Idaho. Rather, the Black Canyon’s claim to fame is its narrow abyss, in some places only forty feet wide at the bottom. Known as the ‘Black Canyon’ because of it’s perpetually shaded canyon walls, the canyon is frequented by tourists as well as rafters and anglers who enjoy the river below. The Black Canyon of the Gunnison is part of the National Park System. The National Park Service makes access to canyon easy for all age groups. Undisturbed natural areas away from the Park Service roads and buildings are managed as wilderness. 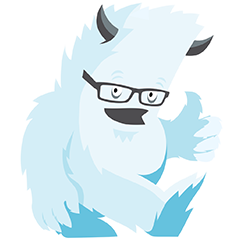 The nearest towns to the park are Montrose and Gunnison, Colorado. From the town of Gunnison, drive west on Hwy 50 through the Curecanti Recreational Area. Take a left onto Hwy 347. Remain on Hwy 347 until the park entrance. From Montrose, follow Hwy 50 east to Hwy 347. Follow Hwy 347 north to the park entrance. A few trails travel along the canyon edge, and several short but challenging steep trails descend to the Gunnison River. 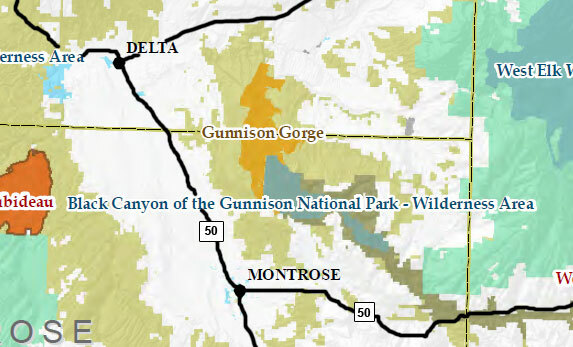 Download the park services’ Black Canyon of the Gunnison map to plan your hikes.